Democracy for America is a progressive Political Action Committee. 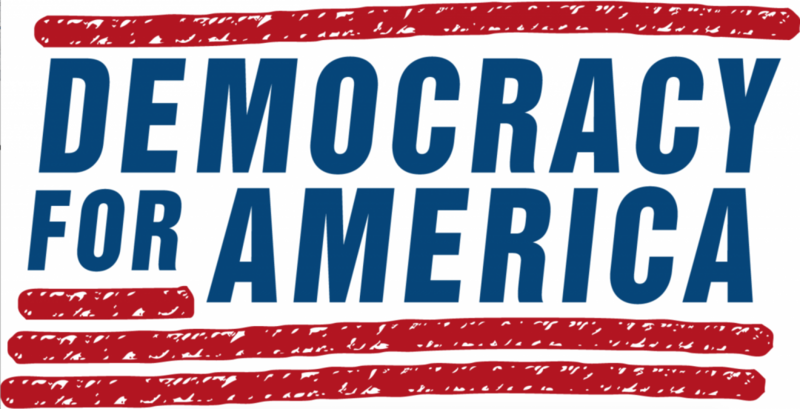 As a members-based organization boasting over a million subscribers, Democracy for America has raised over $45 million dollars in support of progressive candidates. It has played an integral role in supporting nearly 1,000 progressive candidates to election victories across all 50 states. Democracy for America works to empower members taking meaningful, progressive political action on the local and national level. With a particular focus on issues of income inequality, corporate power, Wall Street accountability, justice, money in politics and war, the PAC has been a consistent voice against the policy agenda of the Trump administration. Through their message, not only do they cultivate individuals to run in elections but maintain a message to robustly respond to perceived injustice. Recently, Democracy for America has taken a firm stance in order to achieve lower drug prices, a $15 living wage, pass a 21st Century Glass-Steagall Act and require congressional approval before any nuclear attack. Ranging across a wide spectrum of issues, the policies proposed by Democracy for America offer a platform for the progressive movement to rally in a unified manner in response to Republican opposition. Founded in 2004 by Howard Dean, the former governor of Vermont, Democracy For America have played a key role in offering a progressive voice in the Democrat party, from championing the Affordable Care Act to endorsing Bernie Sanders in 2016 and supporting the BlackLivesMatter movement.